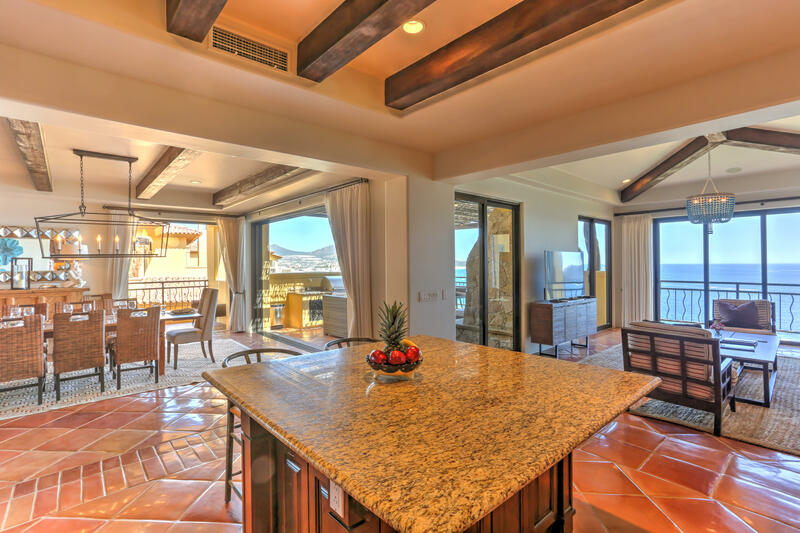 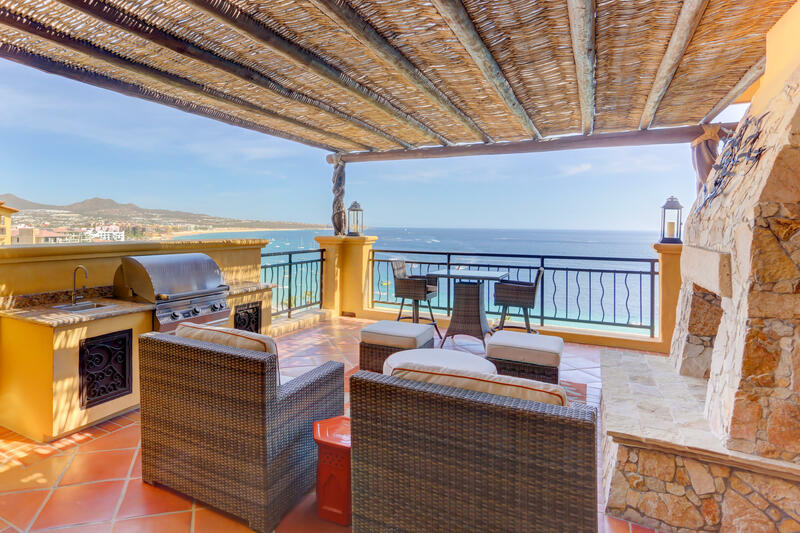 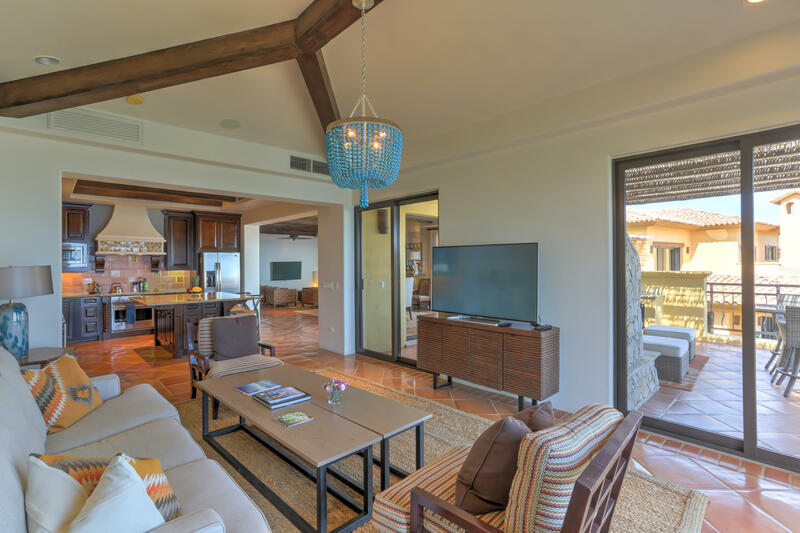 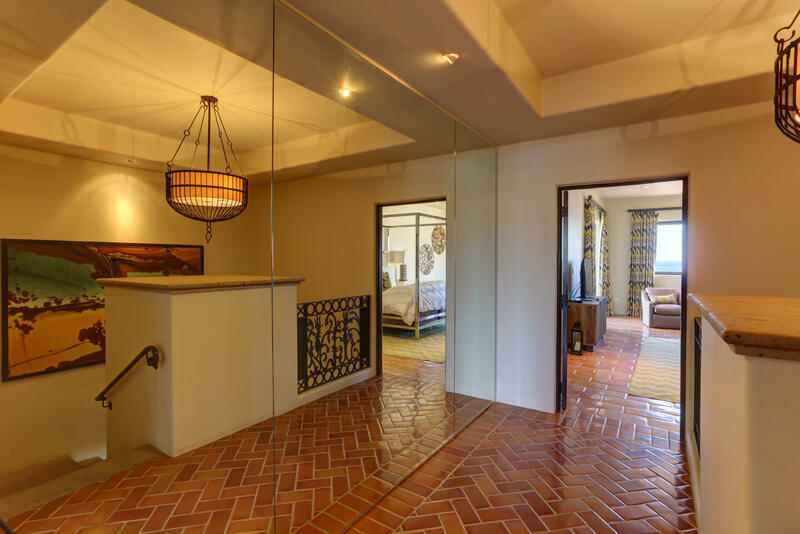 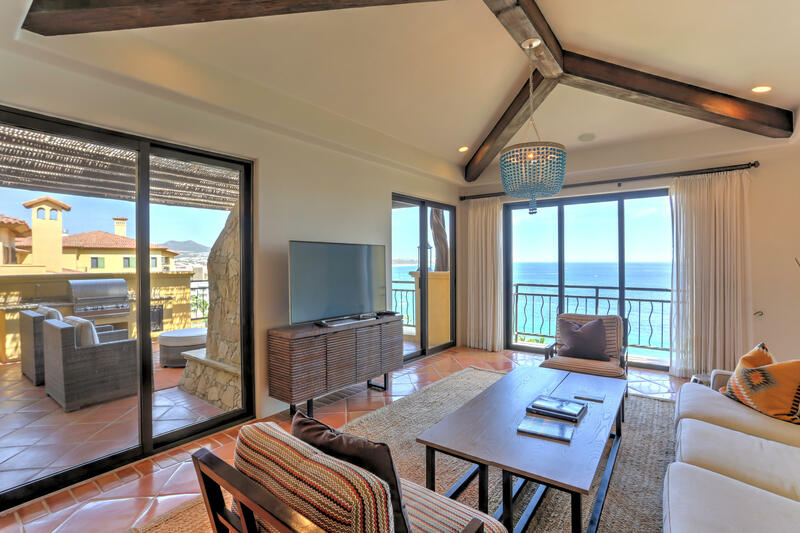 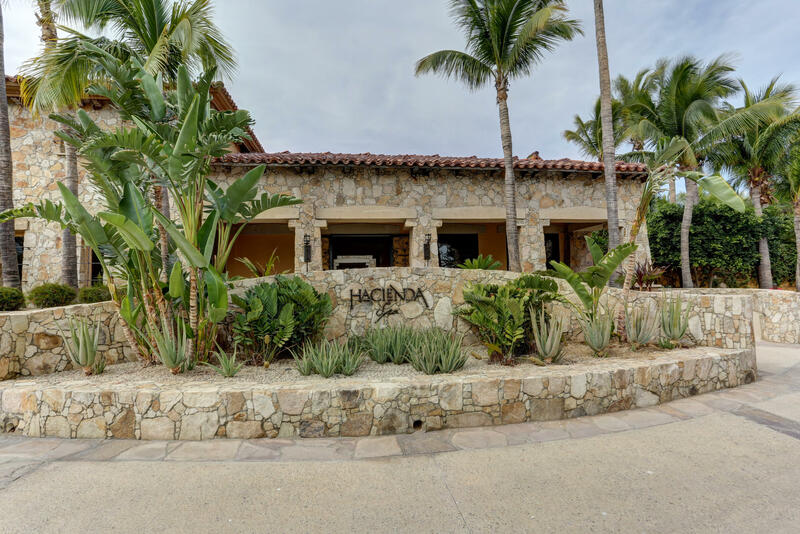 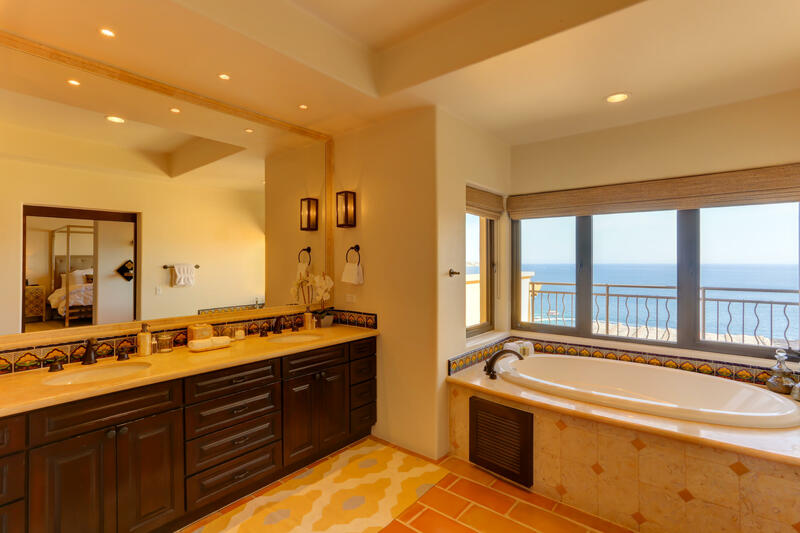 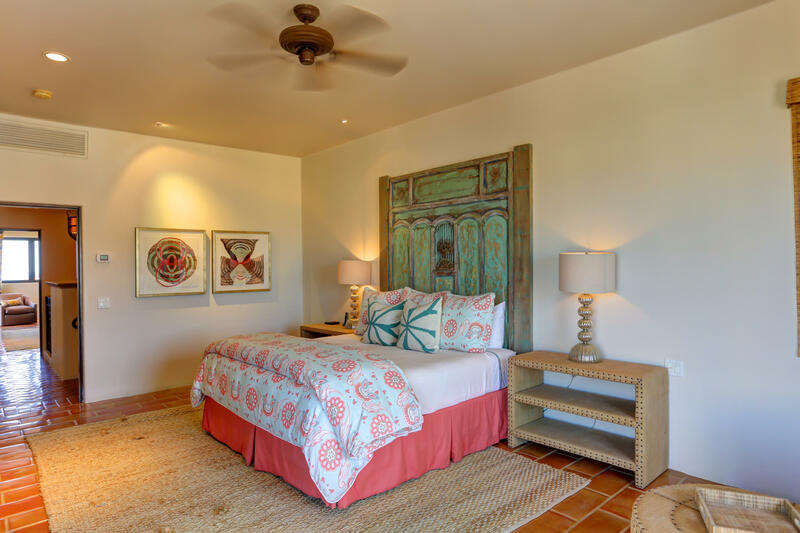 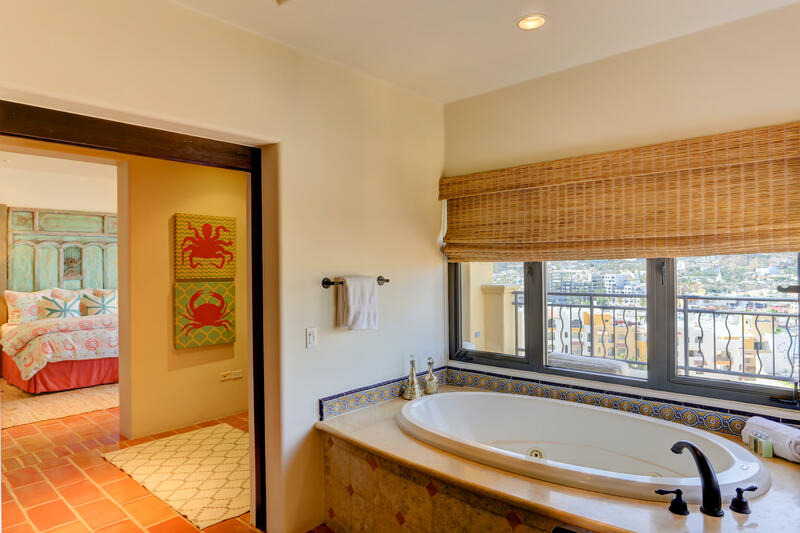 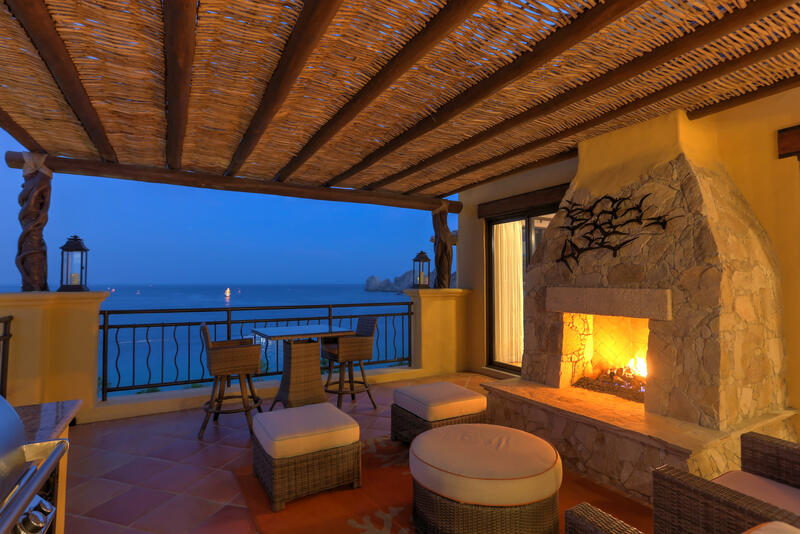 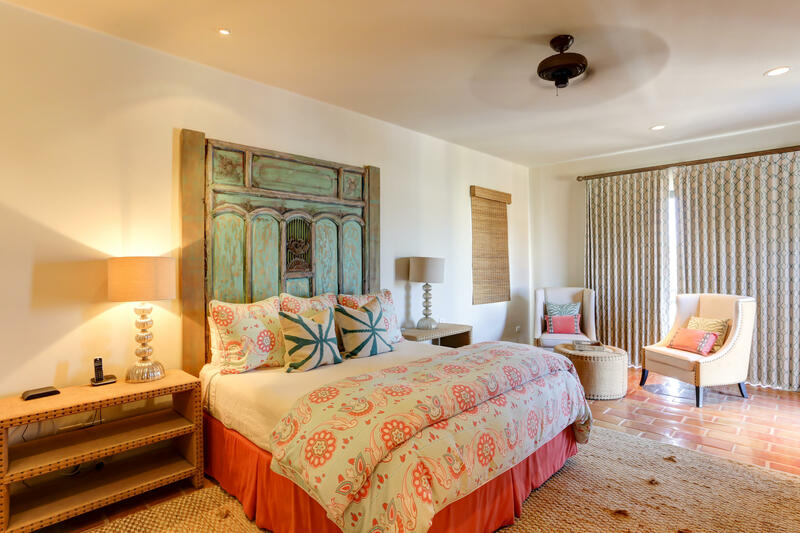 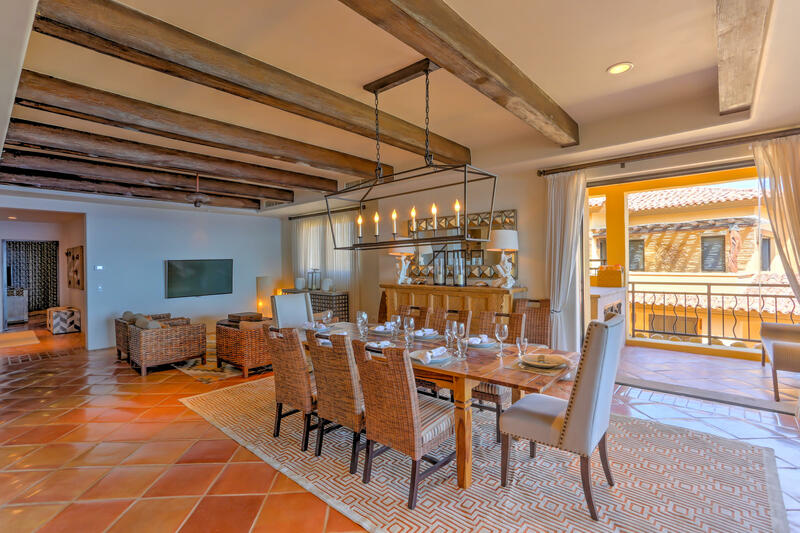 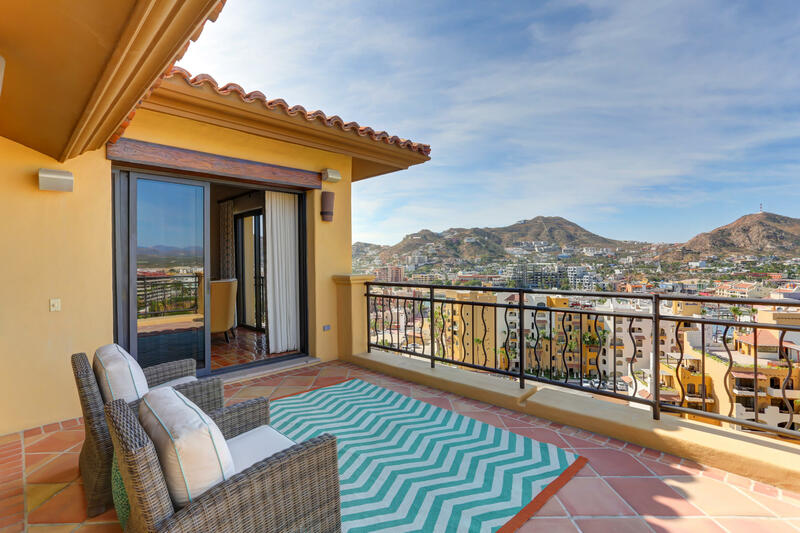 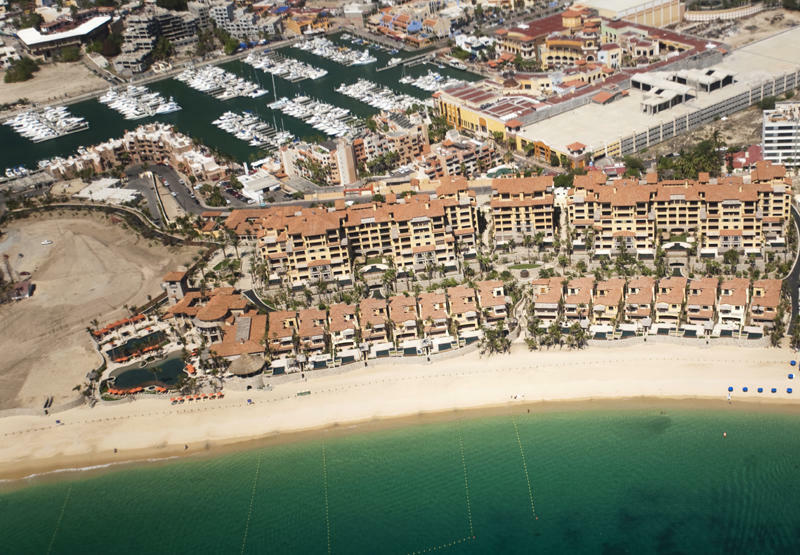 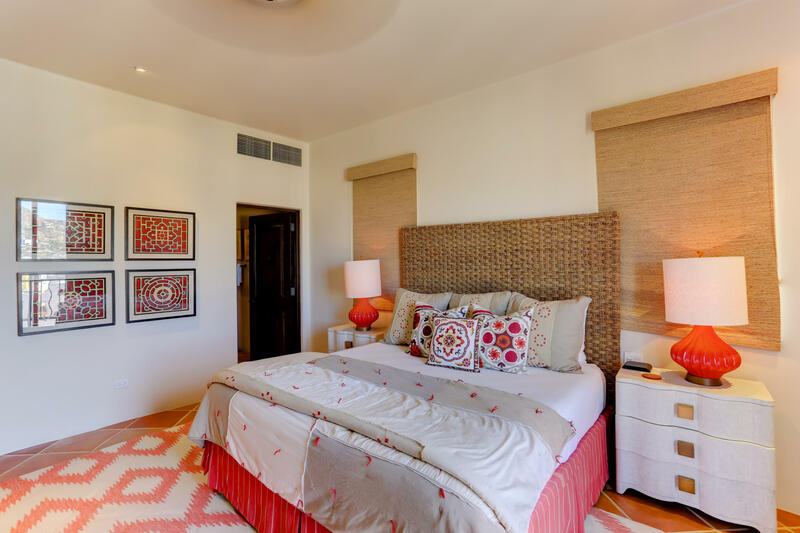 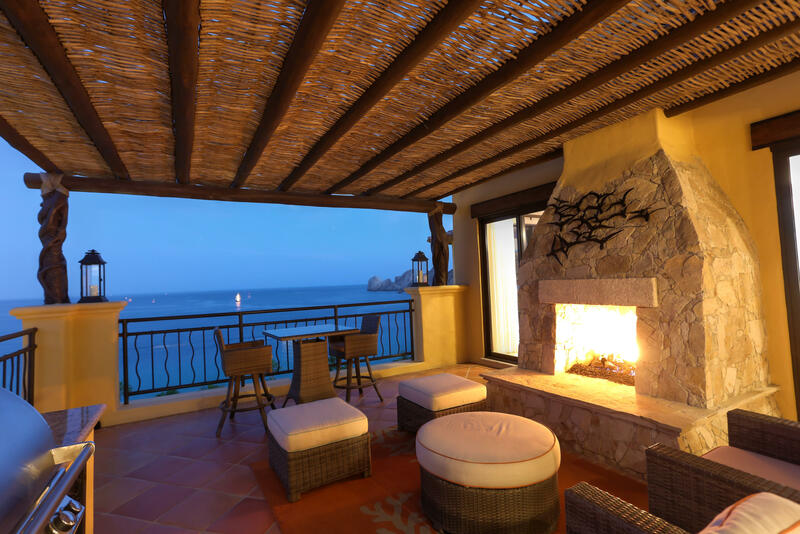 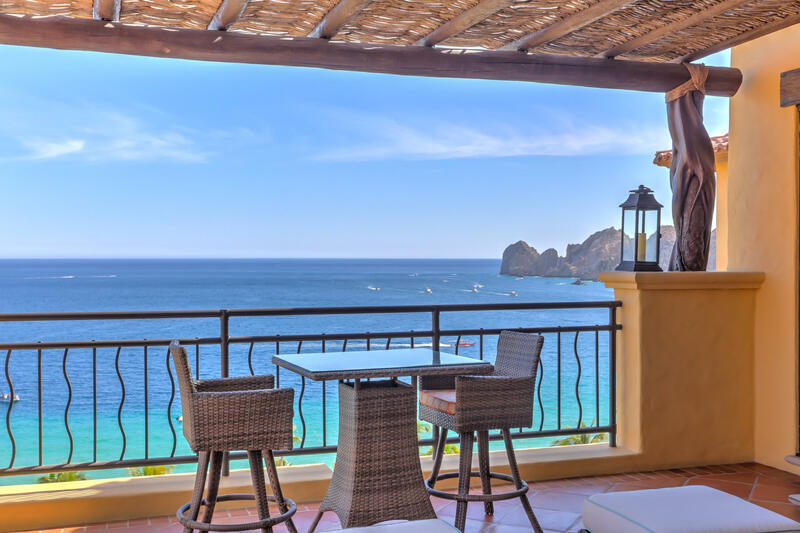 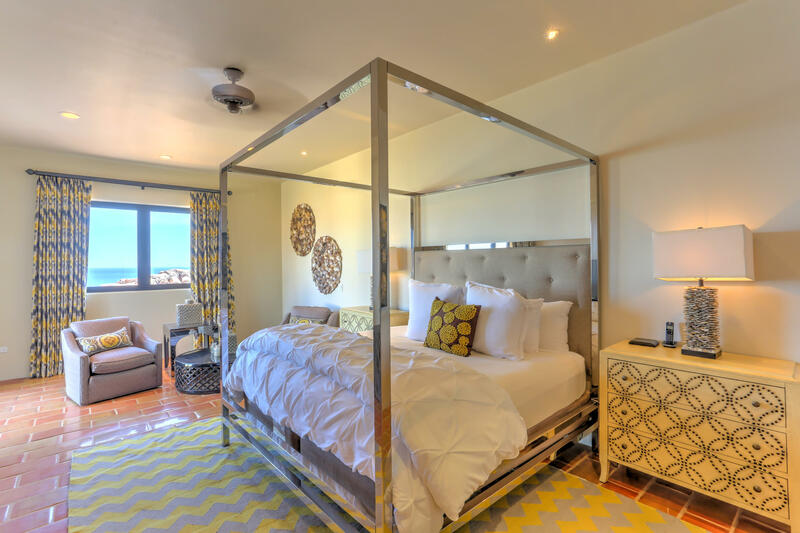 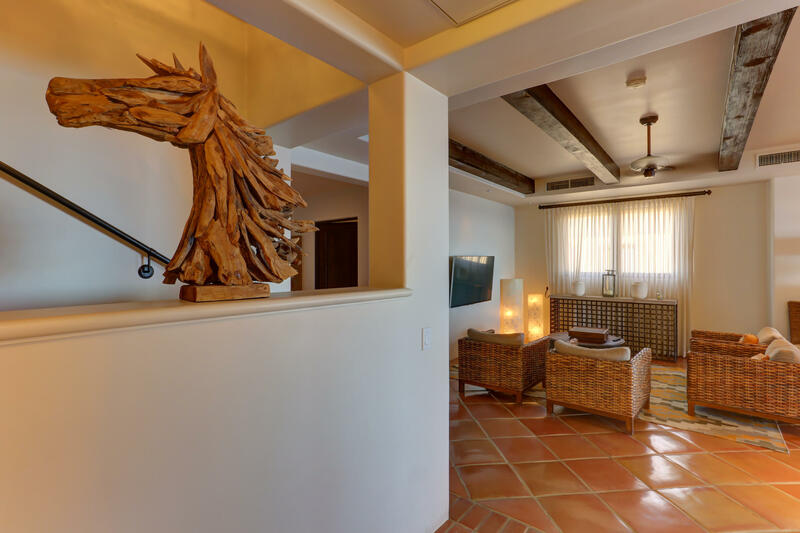 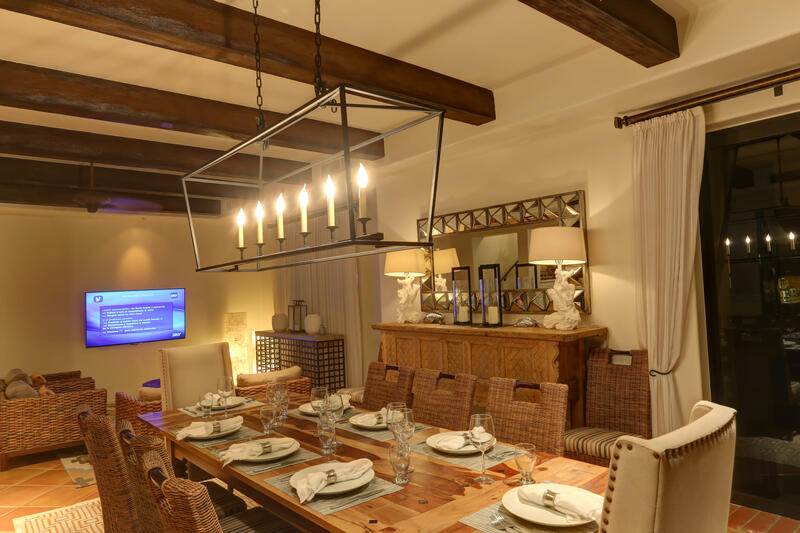 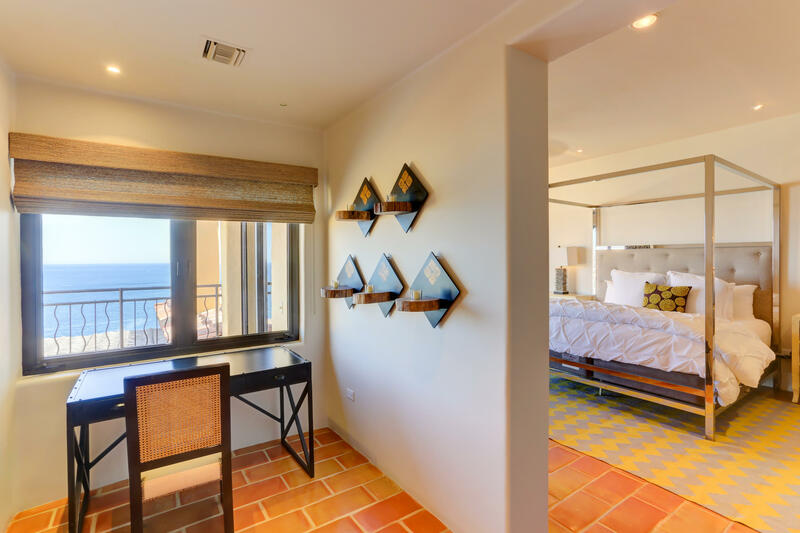 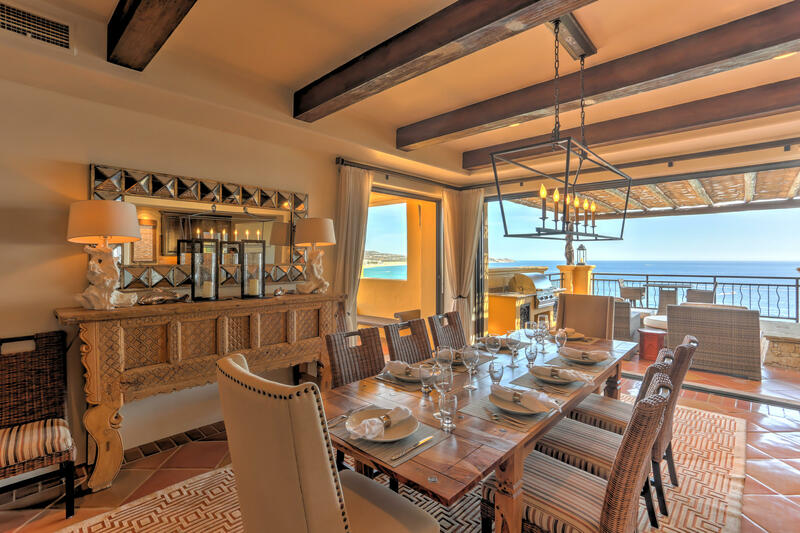 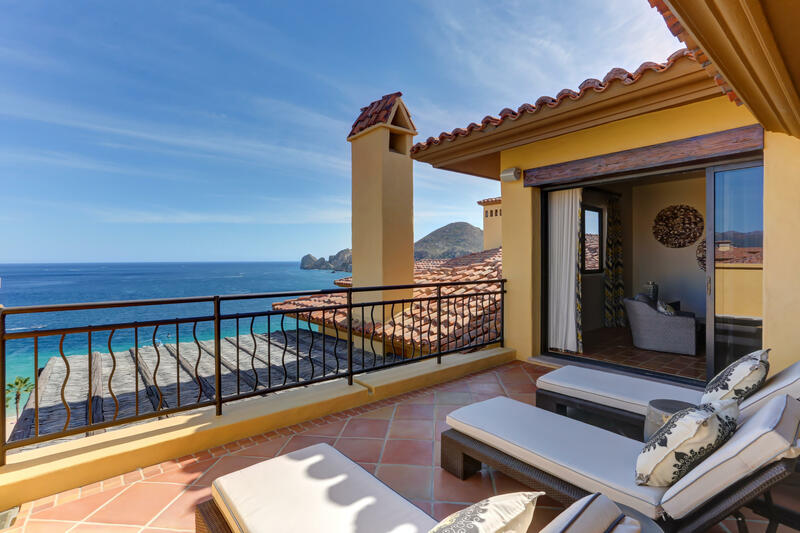 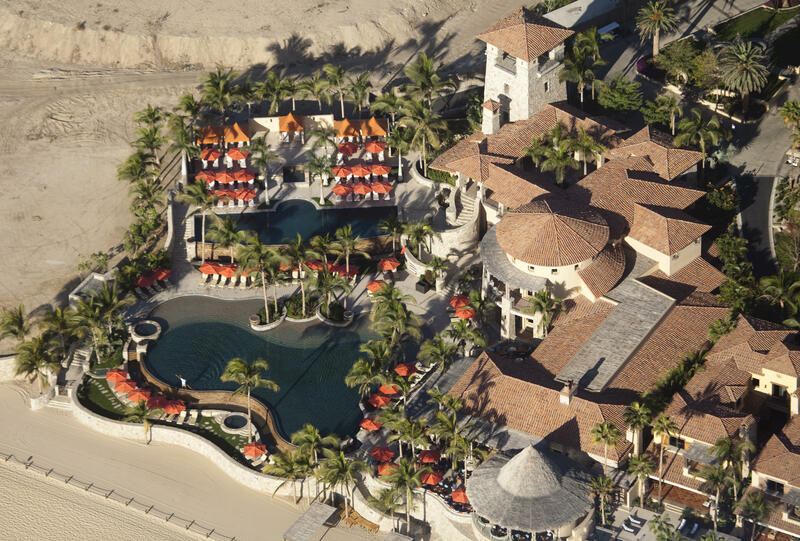 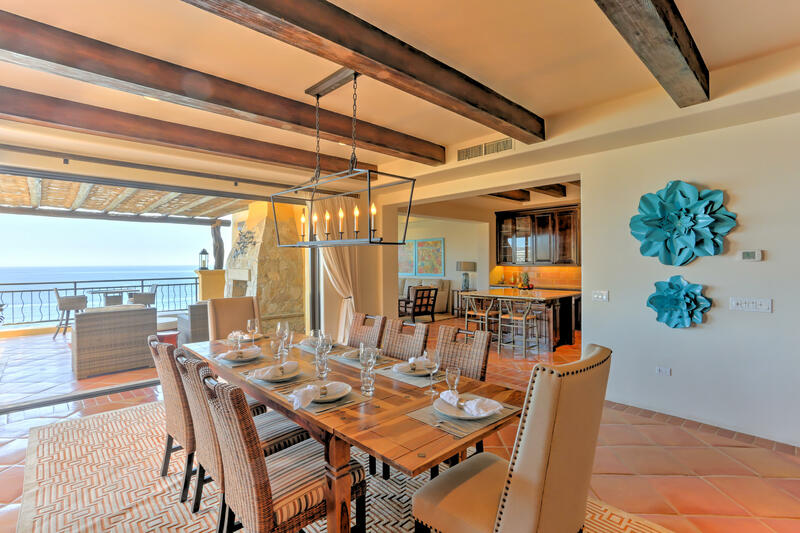 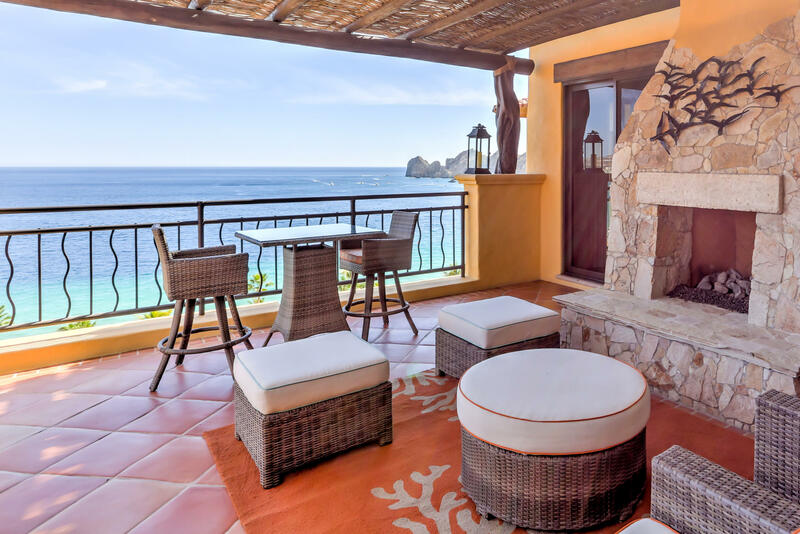 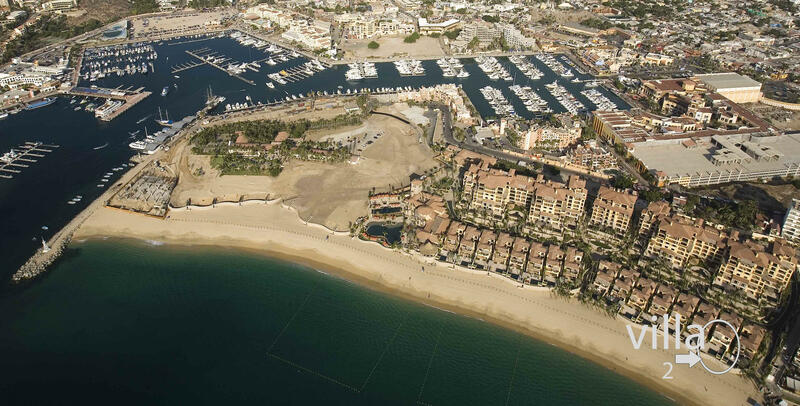 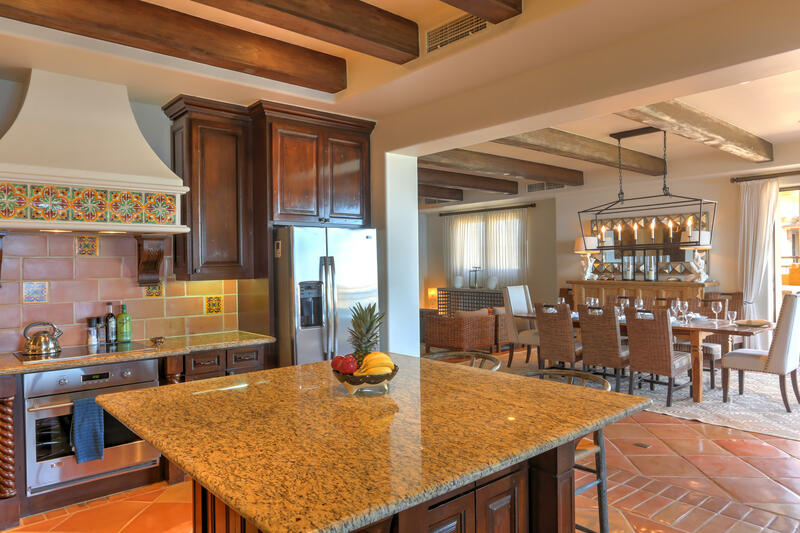 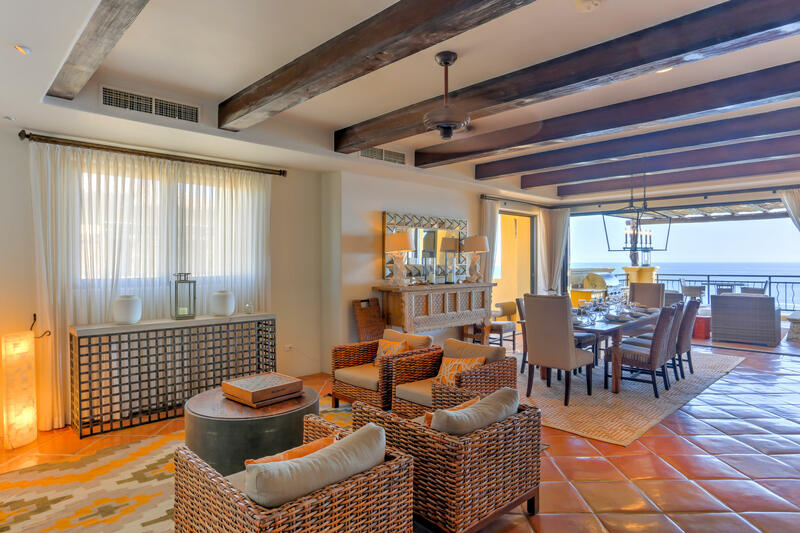 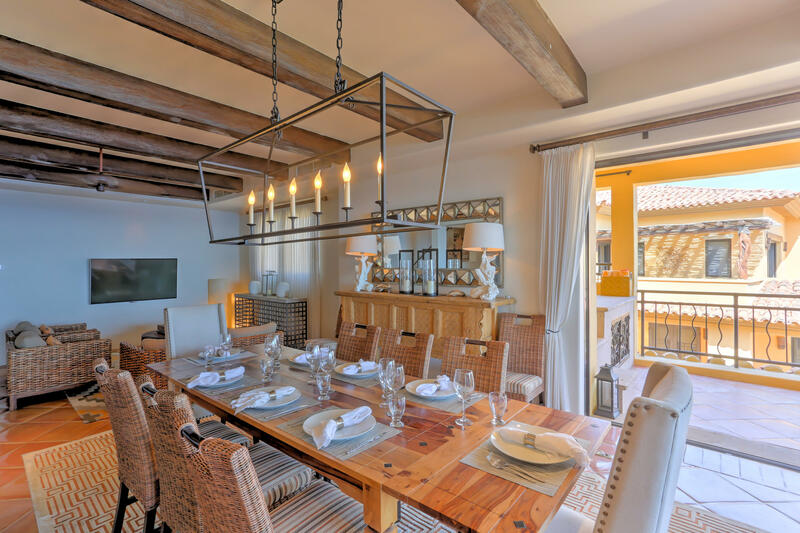 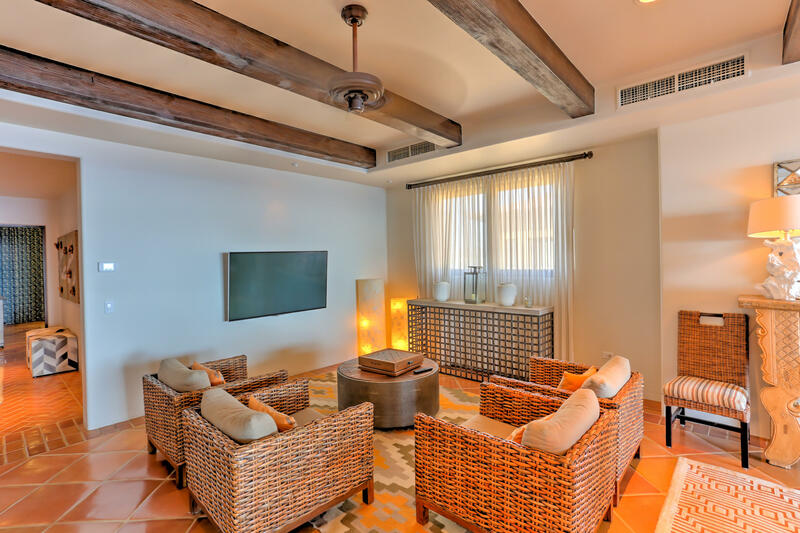 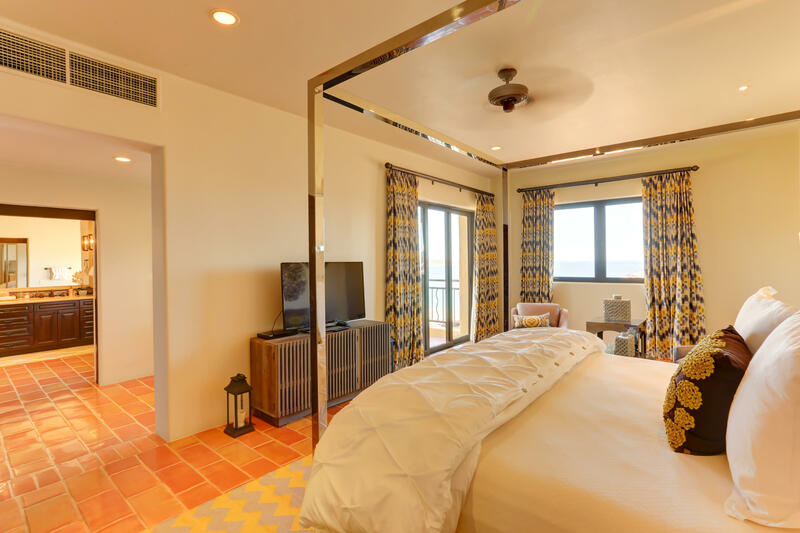 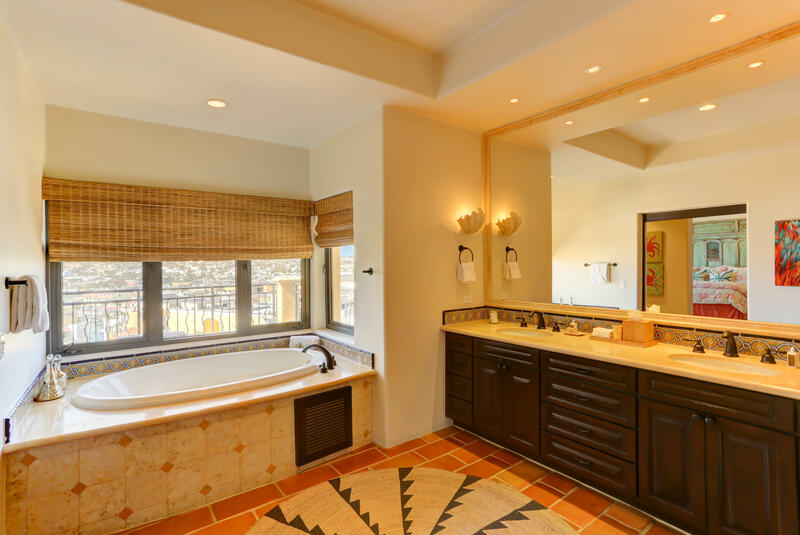 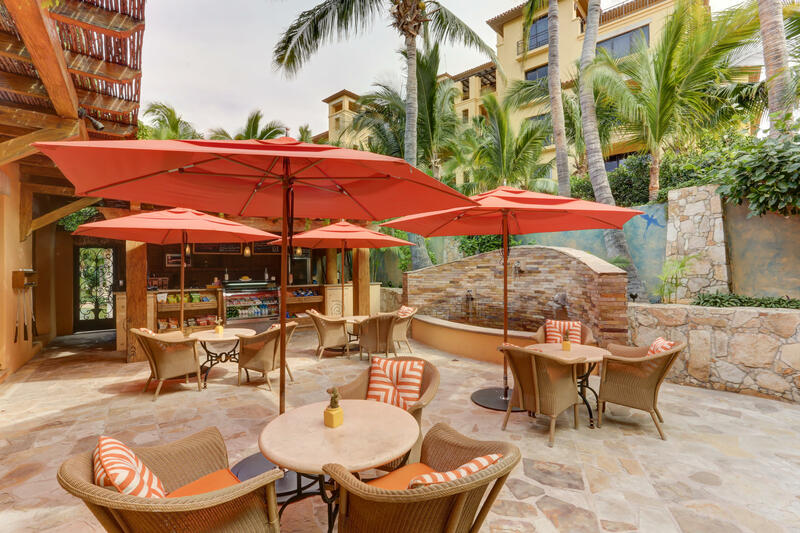 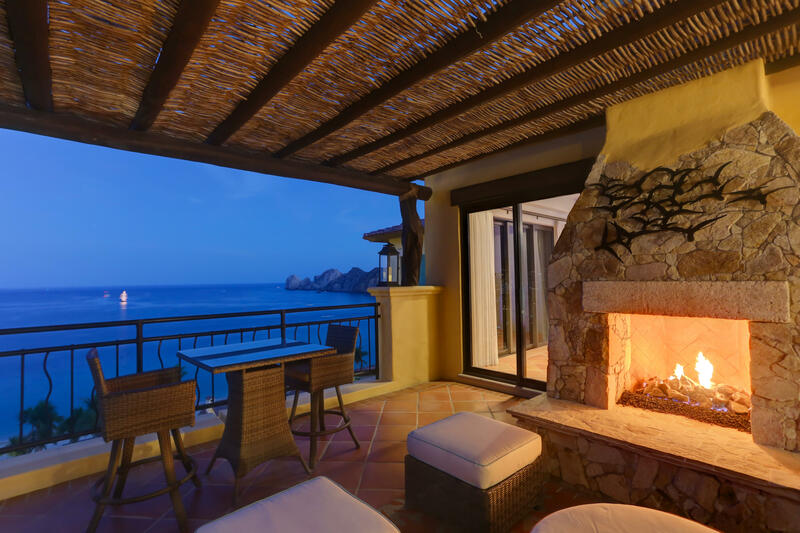 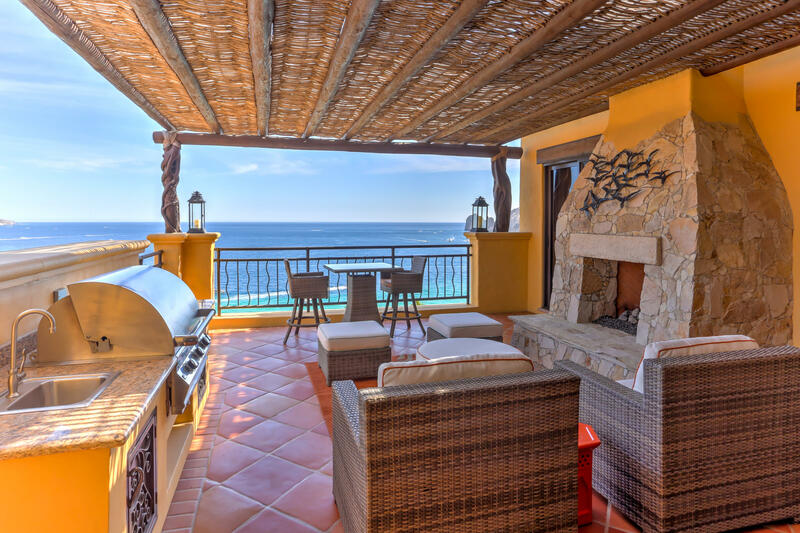 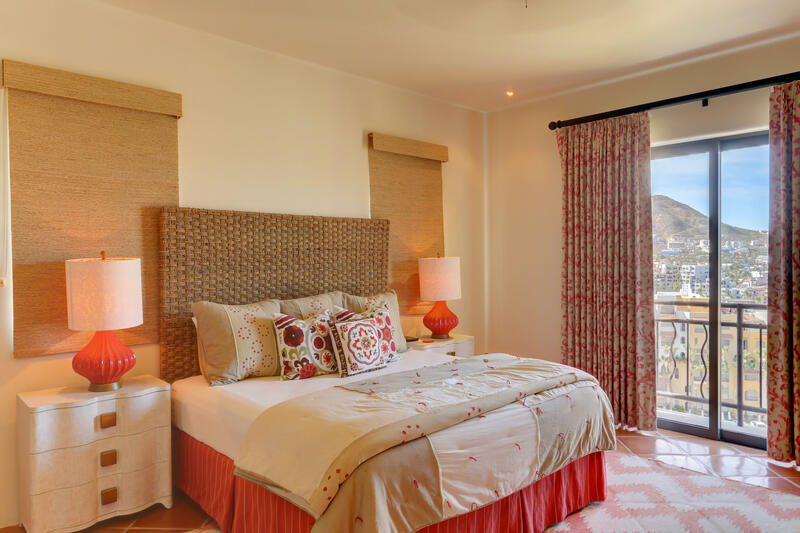 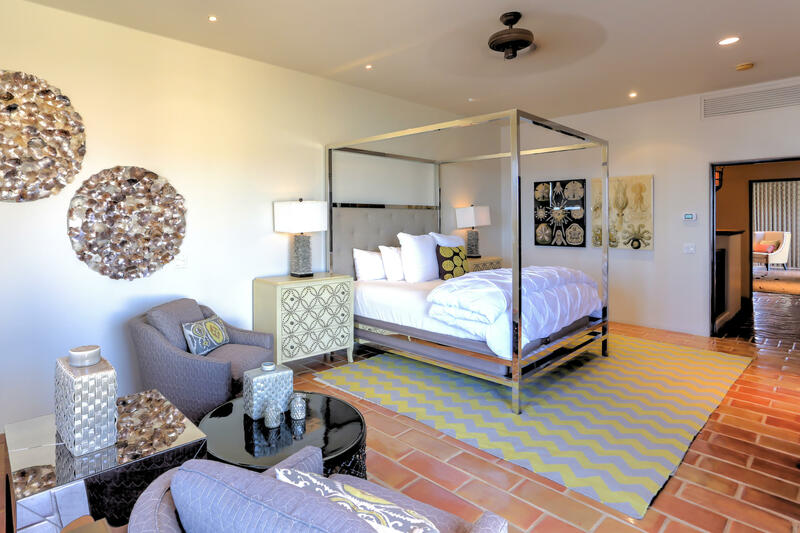 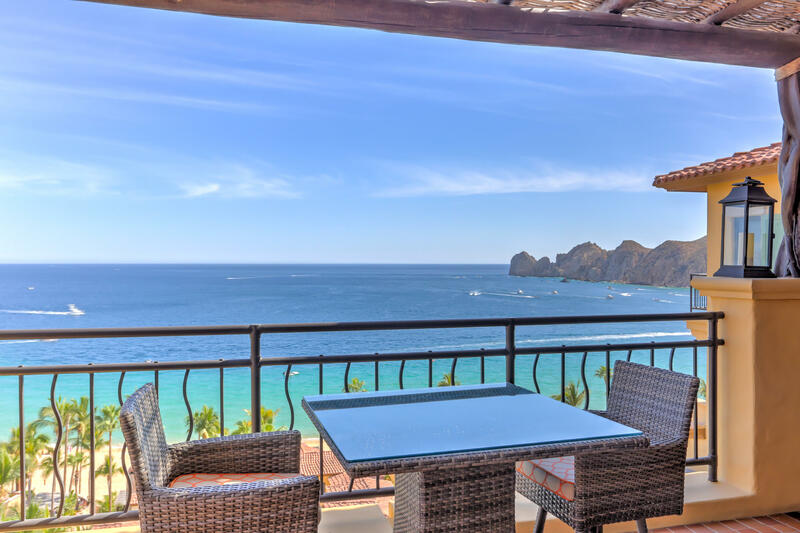 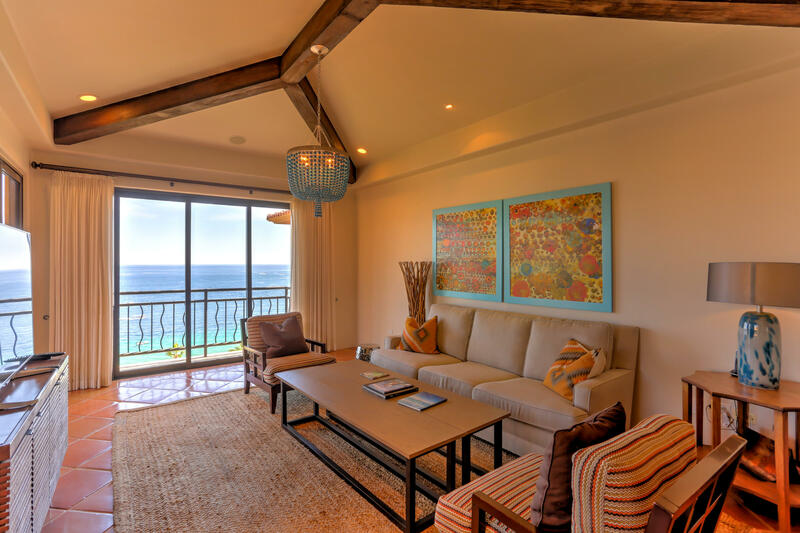 One of a kind spacious Hacienda Penthouse perched on the 6th floor overlooking beautiful Medano Beach and Land's End in Cabo San Lucas. 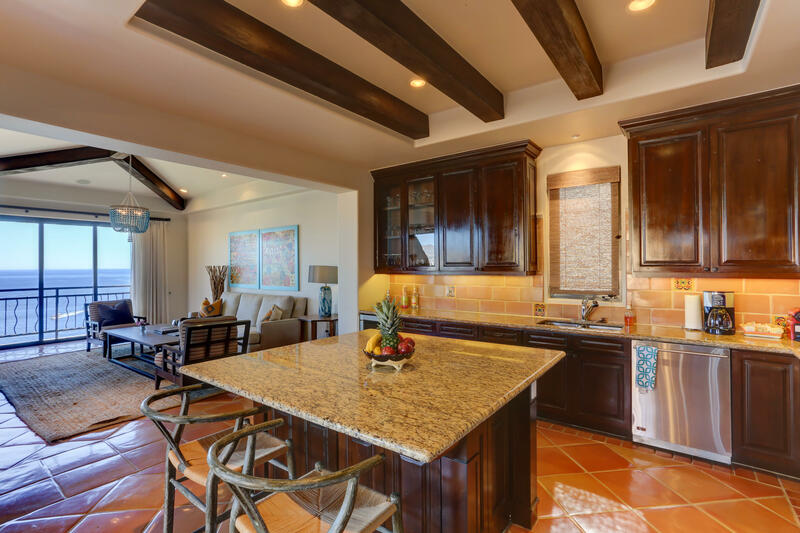 Enter double doors to living and dining area and open kitchen with granite topped island counter. 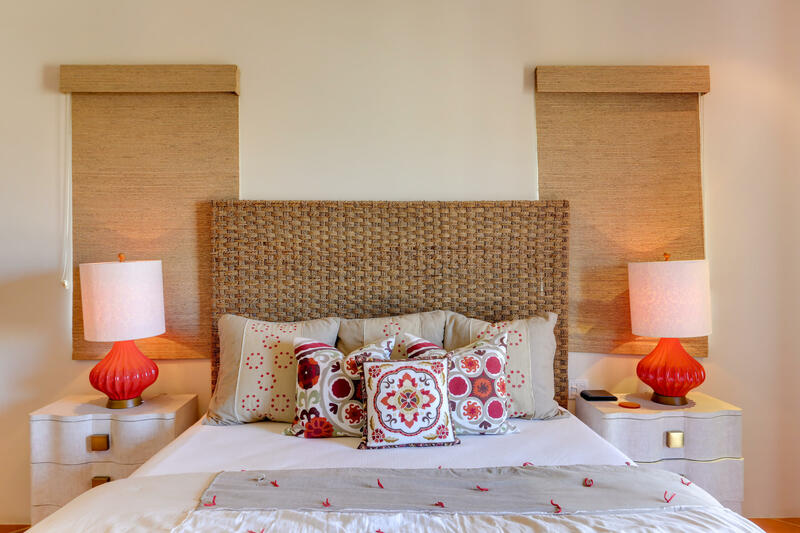 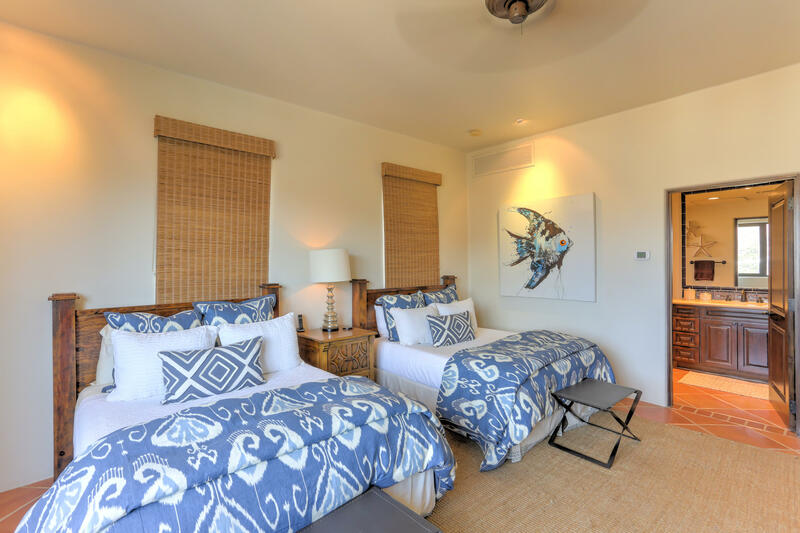 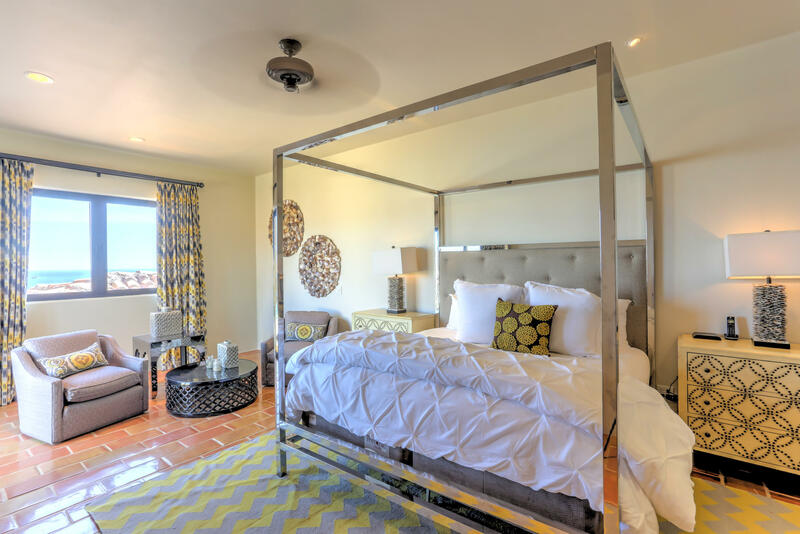 On first level are 2 spacious bedrooms with bathrooms, 1/2 bath, laundry room and 3 terraces. 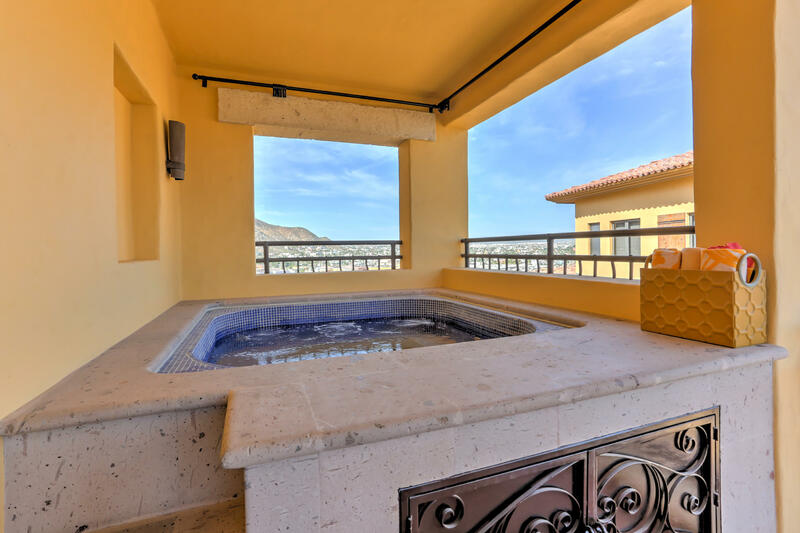 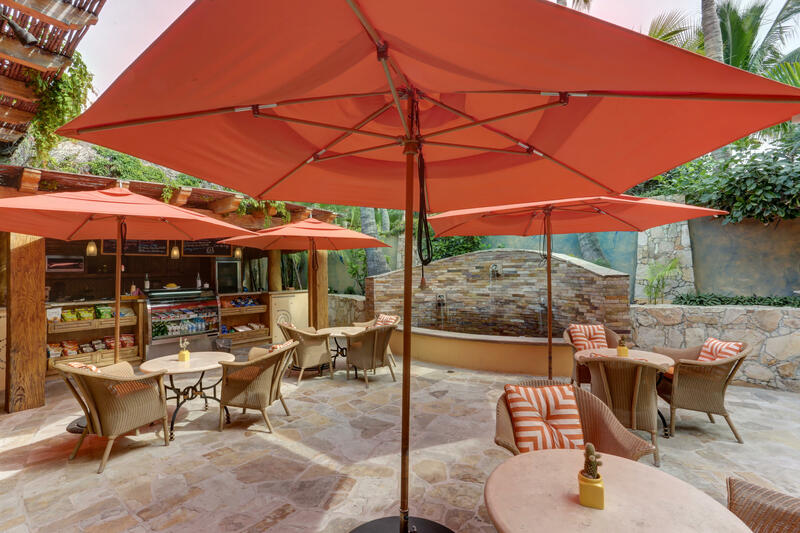 Front terrace has a stone fireplace and BBQ area, side terrace has private hot tub and back terrace off of bedrooms to view city lights before retiring. 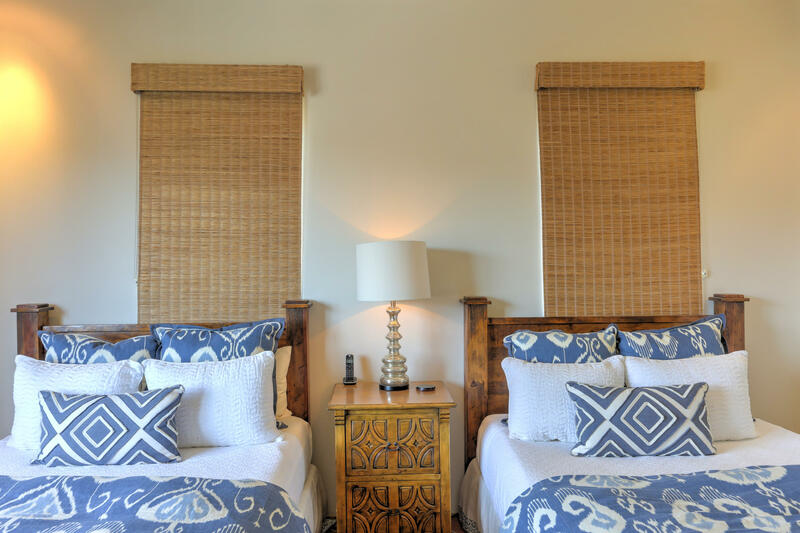 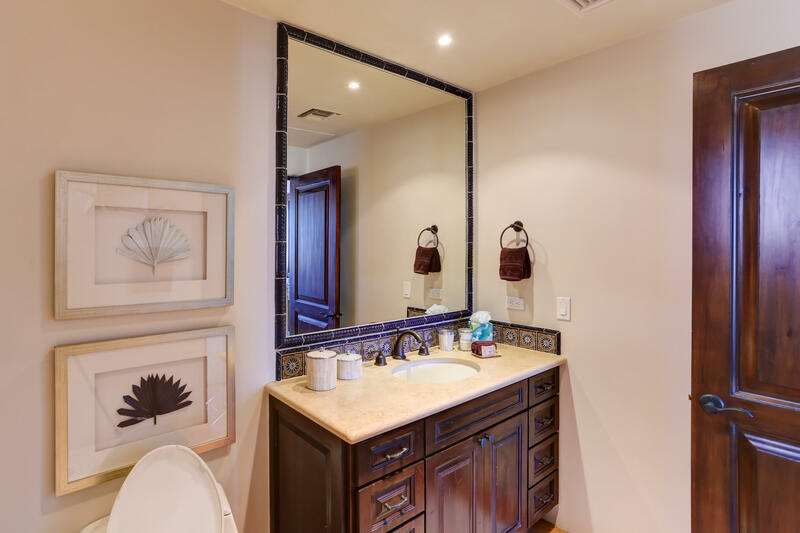 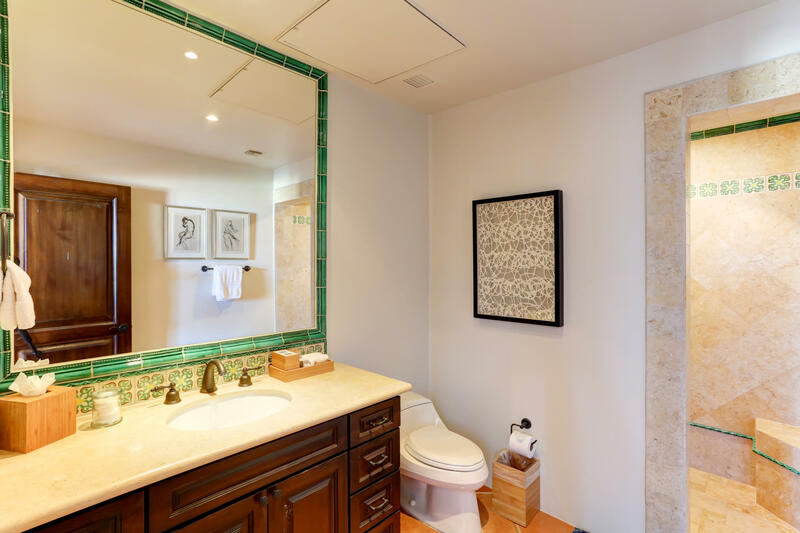 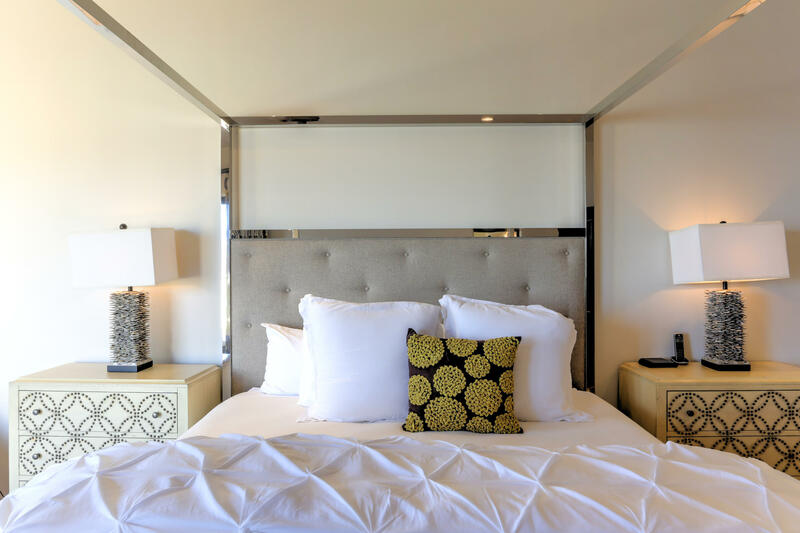 Upstairs are two large master suites with powder rooms, walk in closets and full bathrooms. 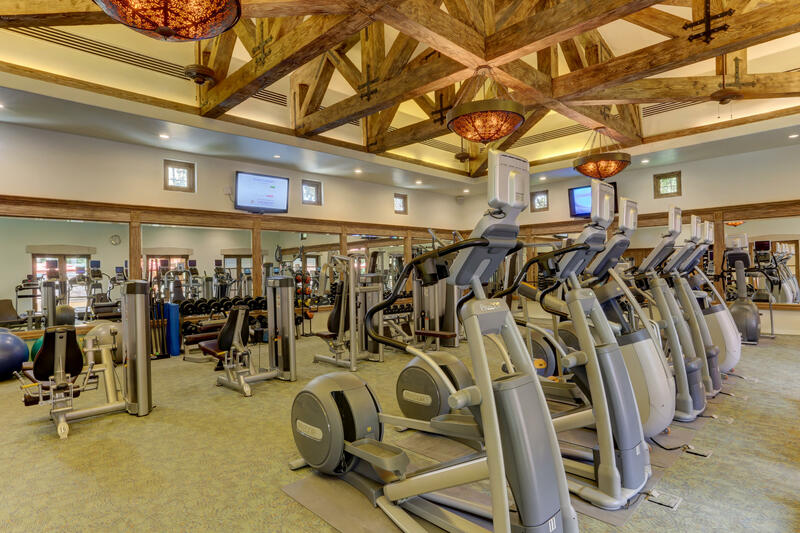 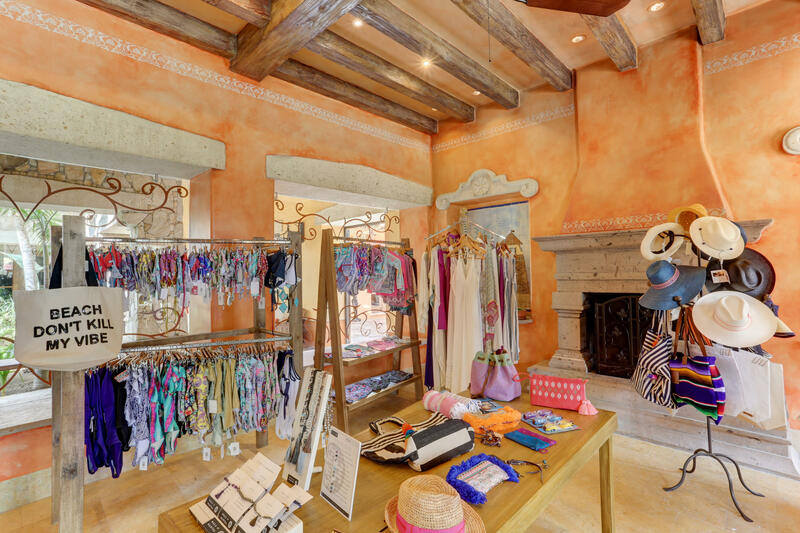 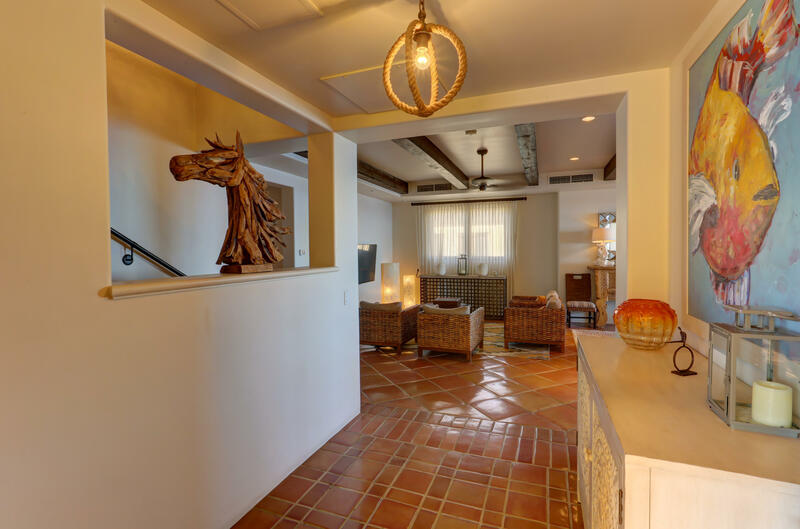 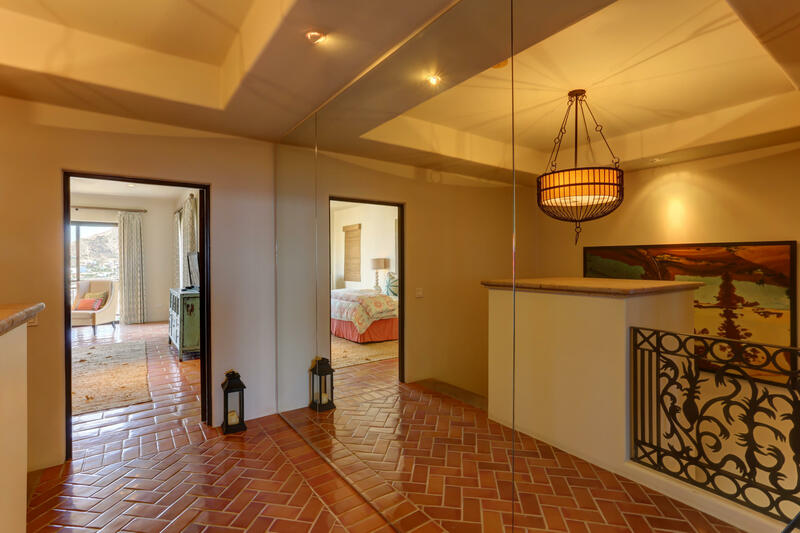 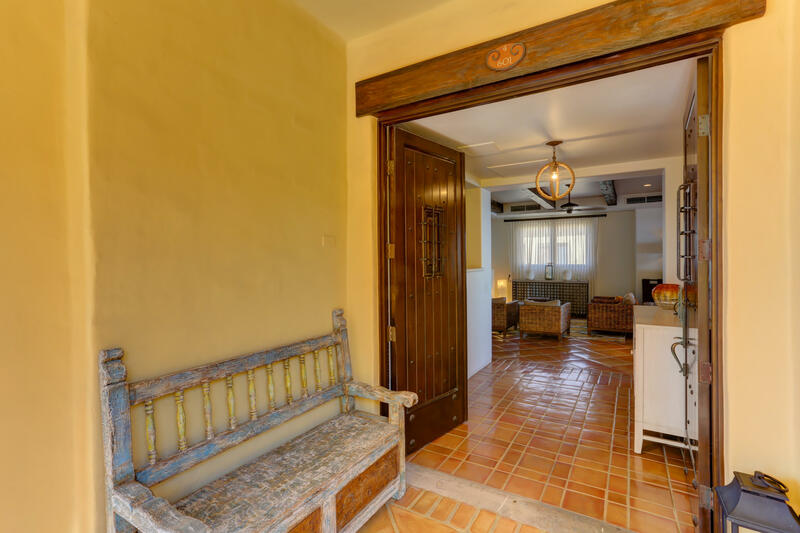 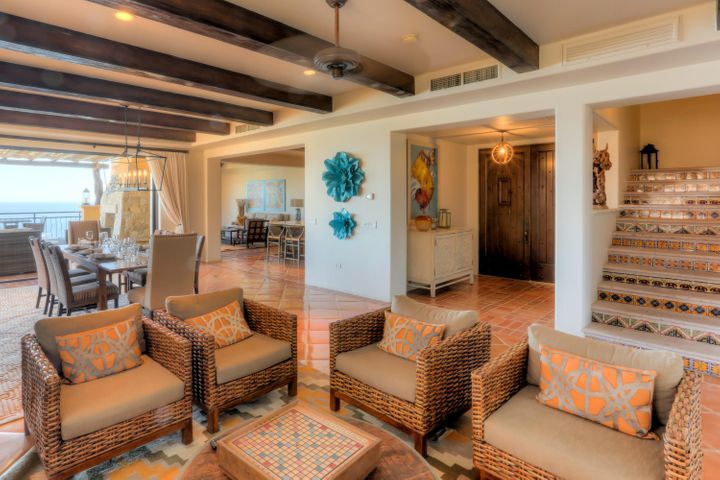 All floors are Saltillo Mexican flooring and Hacienda style with ceramic tiles and rod iron finishes. 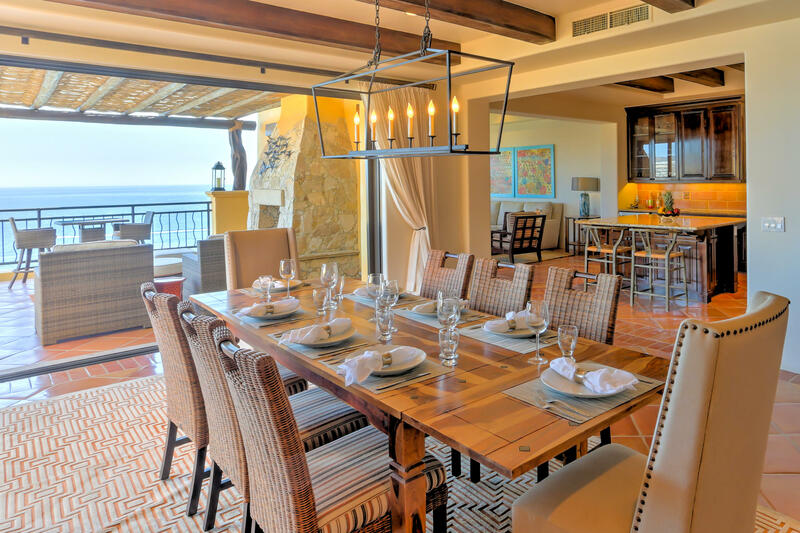 Great for entertaining and wonderful retreat for families and friends. 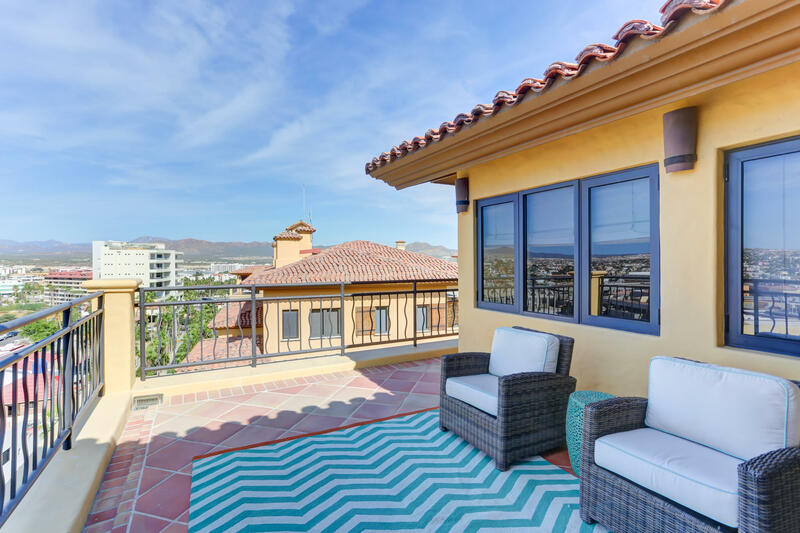 Only 2 units are on the top floor of blg 4.